Every patient deserves a bright beautiful smile. Dr. Ana Cluff and her team know how important it is to you to keep your smile looking its best. 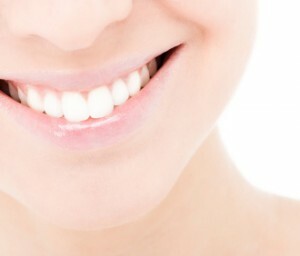 We provide an exciting program to our patients that will help keep their smiles white for life! The program is called “Whitening Forever”. Initial Visit | During your first visit, we begin with an initial exam, x-ray, and cleaning. This will help us establish a dental plan that will help you with your overall oral health. Whitening Trays | After we have cleaned your teeth. and we have determined that they are healthy, we will provide you with a starter kit of professional whitening gel that includes custom-fitted whitening trays. Check-ups | We will happily supply whitening solution to you at your regular dental checkups throughout the year, 2 times maximum, without any cost to you! This is a great program to keep your teeth beautifully white, and to promote daily hygiene and regular visits to the dentist for professional cleanings. Appointments | You must keep up with your regularly scheduled dental visits. Regular check-ups help prevent major dental issues. Health | You must make your daily oral hygiene a priority. By brushing and flossing every day, you will be able to maintain your beautiful smile between your regularly scheduled dental appointments. Account | You must keep your account with us current with no outstanding bills. Making your oral health a priority can be very rewarding. Dr. Ana Cluff and her staff pride themselves on giving their patients the best experience possible. We look forward to helping you achieve a white beautiful smile. Call our office today to join our program!